It can be very frustrating when central air conditioning service stops working during the summer and anytime during the year, you may have to spend a lot of time to contact and wait for an HVAC repair technician or an ac contractor arrive at your door and inspect the issue for you, and you’ll probably have to pay at least $100 dollar for the ac technician just to take a look at what exactly is wrong with your air conditioner. You might be wondering how much is it for AC repair cost if you decided to hire an expert to look at your air conditioning system. The average of air conditioner repair cost is around $120 – $1800. But if you’re able to work around electricity even though you have a very little technician skill., you might be to save a considerable amount of money by just fixing an AC unit yourself. the only thing you have to pay is ac parts which would cost you roughly around $50 or less. Instead of calling someone to do it for you, You can spend only 1 to 2 hours to repair your air conditioner and save at least $200 or more on parts markup and labor. We have provided you with some tips from local HVAC repair technicians to maintain your AC unit and get it fixed very quickly. These tips will help you with the most common issues like “Ac is not turning on” and “The Air is not cold enough” problems. You’ll not need any technical tools except some screwdrivers. After several attempts, if these AC repairs have not solved the issues, at least you’ve covered some of the most common failures that people can do it at home. Now it might be a good time to call the AC technician for air conditioning service to help figure out the root cause of the problem and give you an ac repair free estimate. 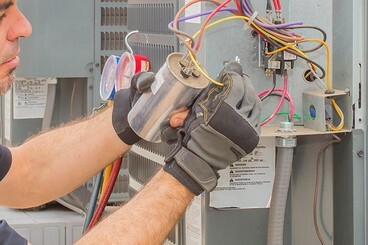 Initially, If you want to repair ac yourself, make sure you turn off all the power supply that goes to your air conditioner by switching or disconnecting a breaker panel, which should be located on the outside of the house. It is extremely unsafe to proceed while the electricity is on. Step 2: Inspect the capacitor on the air compressor and contractor. If the capacitor stops working, the whole A/C unit will not run. In order to start both the condenser and the fan, the capacitor in the compressor (also known as a run capacitor) is the main source of power that keeps the AC units running. It is very easy to test whether the run capacitor is working properly. If it is not, the replacement process is easy and it does not require a considerable cost to get a new one. Inspect the panel to see if there is a tripped breaker or blown fuse. If the issue is the fuse, just simply replace the fuse. You can easily find the replacement fuse online or nearby hardware store in your area. If the breaker still trips, the problem might come from a compressor, capacitor, or the fan motor. At this point, you may need to hire an electrician or HVAC contractor to help you identify and fix the problem. If you have tried these steps but the AC unit is still not working, You may need help from a professional technician to take a look at your system and help with all aspects of the air conditioning system. They can make sure your unit is installed correctly, and that all electrical services are running properly. Most of HVAC company offer ac repair free estimate to gauge the price of your service and also available for 24/7 emergency AC repairs. 1) Look for a license: licensing is one of the initial indicators that proof company expertise. It is very difficult and almost impossible for a non-experience business owner to apply for and receive the license. If they do have one it means that they have passed one of our checklists. More importantly, you will have to do some research for a company’s background to know more about the business on any online directories like Yelp and other business listings. 2) Do your homework prior to choosing one: Before you contact with an HVAC repair service, make sure your ac unit is still under warranty and what model it is. By doing so, you will be able to save time working with the technician when they request this basic information. When your technician arrived, you can also tell them the important issues you are concerned about the air condition. 3) Look for the most reasonable price and compared the services: There are many HVAC service providers all around the United States and all of them offer a different price estimate based on many factors. If you live in California the service fee might be slightly higher based on income and living cost. The price is also based on the material the HVAC company is using and how much experience they have. 4) Ask previous clients: You can start with your friends and family who have experience in hiring a handyman for an air conditioner. Another way is to read the testimonials from previous customers that are satisfied with the company you are about to choose. A lot of review and positive-stars can be a great indicator of a good or even the best HVAC company in your area. 5) Check certifications. This process can be easily done on the internet which you can look them up on the certain official site. Many HVAC professionals belong to the Air Conditioning Contractors of America (ACCA) or the Sheet Metal and Air Conditioning Contractors’ National Association (SMACNA). Both sites provide listings of HVAC contractors by region. Look for contractors that are about to hire to see if they are listed in there. With spring in full bloom, summer is just around the corner. This calls for beach days, picnics, and the star of the season, a properly functioning air conditioner. 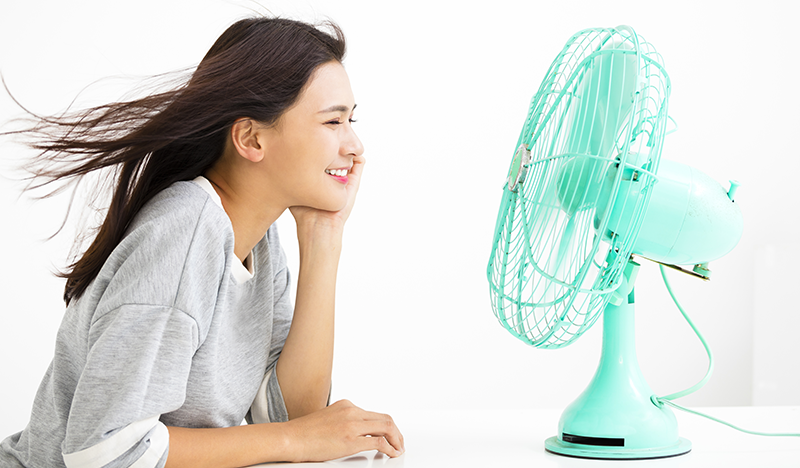 There’s nothing more refreshing than escaping the hot summer heat and cooling down in your nice air-conditioned home. If you’re a Sacramento local, then you’ll understand the importance of having a properly functioning air conditioner. Temperatures skyrocket in the summer, making air conditioners a necessity. At Fix-it Rite, HVAC & Appliance Repair in Sacramento, our specialists are available 24/7 to repair any damages or issues you encounter with your air conditioning system. Our team makes sure that your air conditioner is installed correctly and that it runs properly, so it can cool you and your family down during those unbearable summer days. Improperly installed air conditioners can cost you money. If an air conditioning system is improperly installed, the unit can malfunction while still consuming energy. You’ll basically be paying for air conditioning service without experiencing its full benefits. Having a Fix-it Rite technician properly install your air conditioner will ensure that the unit will function at its highest level while you relax in the comfort of your cool home. Scheduling regular check-ups will keep your air conditioner running in top shape. 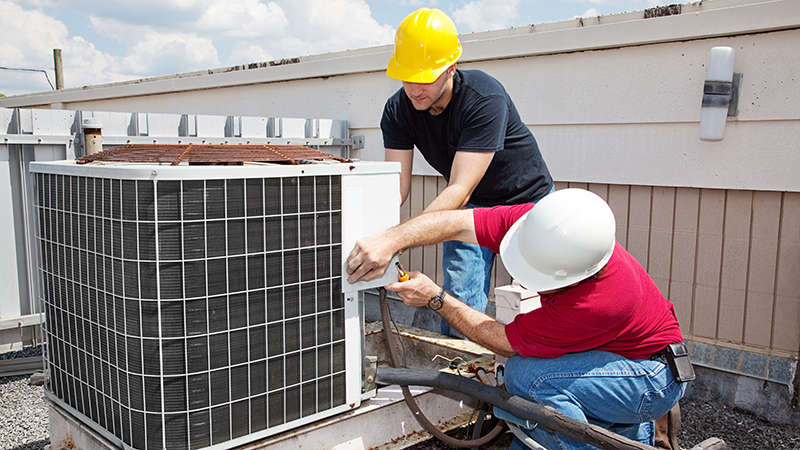 Our HVAC technicians have the tools and the knowledge to properly inspect your air conditioner. We’ll be able to identify and fix the root of your air conditioner’s problems, so you can stay cool all summer long. The evaporator and condenser coils are two very important parts to your air conditioner. Those coils work together with fluids to absorb hot air and release cold air. Regularly check your air conditioner for leaks, and make sure the coils are clean and free from dust, debris, or obstruction. Otherwise, the coils will continue to use energy without producing the same cold air you’re expecting to feel. Clean your air conditioner to maintain the quality of the cold air produced. Don’t forget to clear any debris from the air filter that may obstruct airflow and wipe down the air ducts and vents to further improve air quality. We also recommend changing your filter every few months. Turn the air conditioner down or turn it off when you leave the house. Turn your thermostat up before you go to bed. Slightly increase the temperature a few degrees instead of operating at the coldest setting to avoid overheating. All these tips will help you conserve energy and save money. Learn how to beat the heat without breaking the bank with Fix-it Rite.